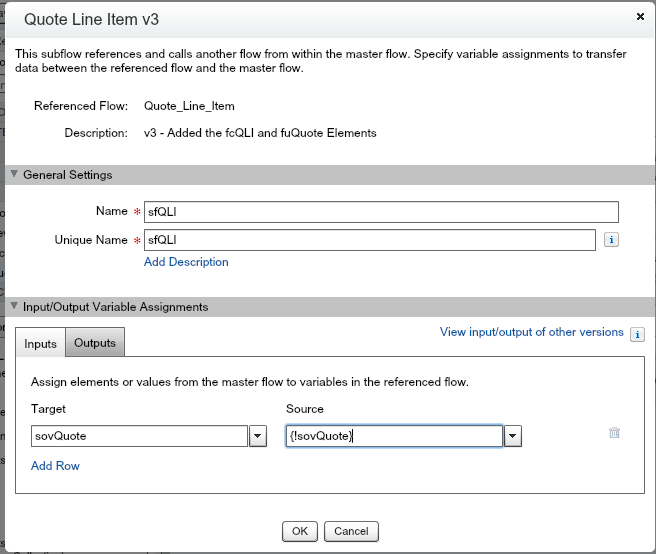 This is part 4.A of the Learning Flow series, how to send Users to the Quote Line Item Flow from the Quote Entry Flow. To start, open the Quote Entry Flow. 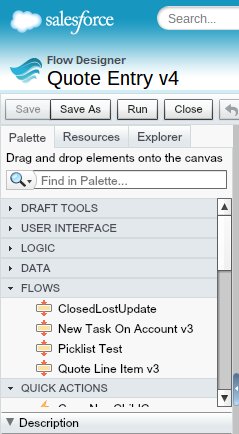 In the Palette, navigate to the FLOWS section. Click on the Quote Line Item Flow and drag it below the fcQuote Fast Create Element. For the Name and Unique Name enter sfQLI for Sub-Flow Quote Line Item. Since the Quote Line Item Flow is expecting the sovQuote sObject Variable, in the Target, click the drop down arrow, then click the arrow next to SOBJECT VARIABLES, then select sovQuote. In the Source section, click the drop down arrow, then SOBJECT VARIABLES, then select sovQuote. Click 0n the Outputs section. Click the trashcan to the right side, you won’t need to send any information back from the Quote Line Item Flow. Click OK at the bottom. Connect the fcQuote Fast Create Element to the sfQLI Quote Line Item Element. That’s it! Congratulations! 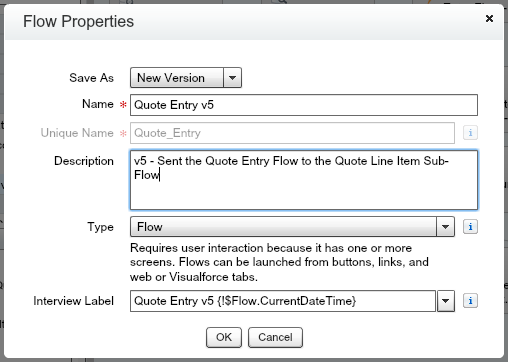 You have sent your users from the Quote Entry Flow to the Quote Line Item Flow to create Quote Line Items! ← Launch a Flow using Lightning Process Builder!